Our company Manufactures and Supplies a wide range of Limiters made from high grade raw materials. We are well known for our expertise which lies in manufacturing and supplying optimum quality Torque Limiters. 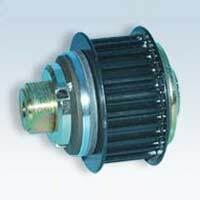 Torque Limiters is a mechanical device which protects Motor or Machine from overload. 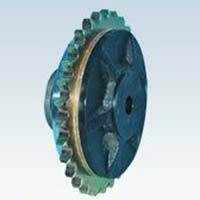 Our Torque Limiters is precisely designed to assure long life and trouble free drive systems. One can avail our Limiters at market leading price from us. Specialty Machinery, Printing, Wastewater Treatment. Power Generation, Pulp & Paper, Corrugation, Vehicular, turf & Garden, Metal Container Machinery, Packaging Machinery, Iron & Steel, Mining, Conveyors and Conveying, Cranes, Hoists, Milled Products, Material Handling, Frozen Foods, Pet Foods, Seafood, coffee, Canned goods, Dairy, Candy & Confectionary, Bakery & Pasta, Fruits & Vegetables, Alcoholic Beverages, Poultry Processing, Snack Foods, Soft Drinks, Agriculture Machinery, Transport Machinery, Loading System, Textile Machineries etc.